Our Heat-and-Serve Meal To Go Makes Entertaining Easier than Ever! What are you bringing to Easter dinner? How about something traditional, like Pizza Rustica, just like Nonna makes! Pizza Rustica, also known as Italian Easter Pie, is a traditional savory dish. At Giovanna’s, inside we put basket cheese (like a firm ricotta), parmesan, creamy ricotta, fresh mozzarella, Soppressata (hot and sweet), eggs, Prosciutto, Capicola, yummy! 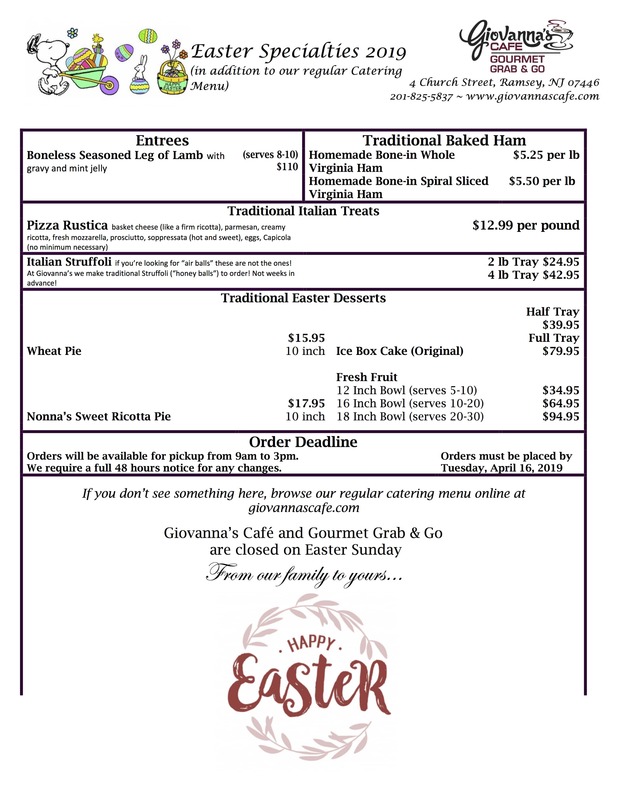 See our Easter Specialties menu below. Forget the shopping, chopping and hours of prepping. 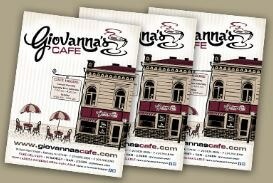 Let Giovanna’s do all the work for you. Our meal offerings come chilled and ready to heat. So, you will enjoy less time in the kitchen and more time with your loved ones. 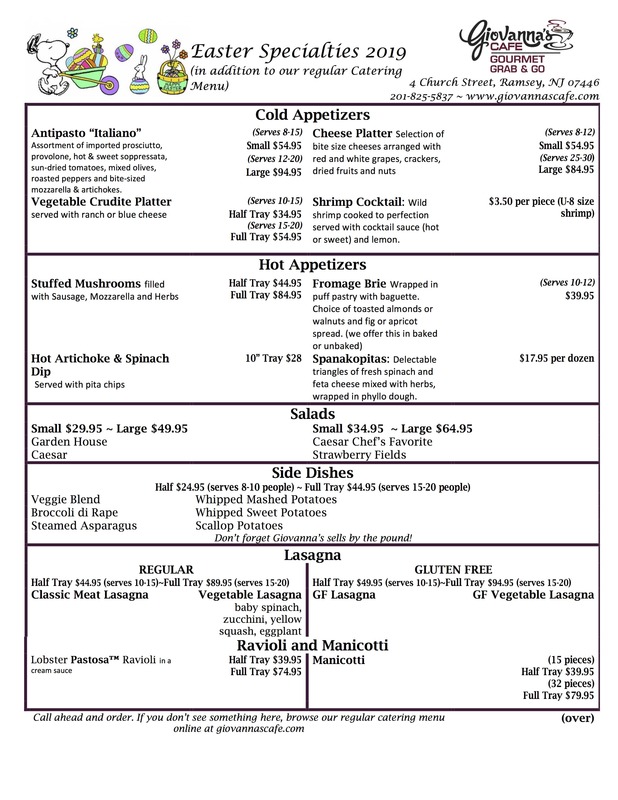 Don’t see what you’re looking for on our Easter Specialties menu? 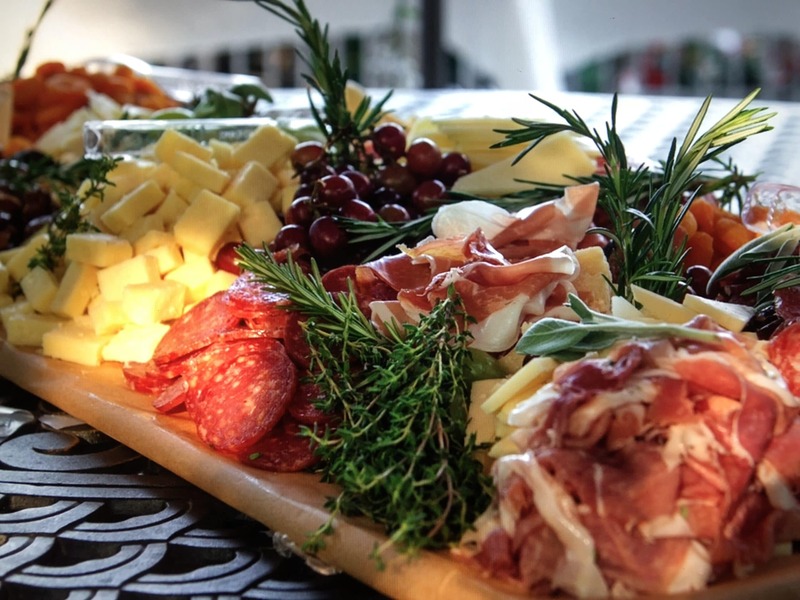 Choose from a selection of specialties from our regular catering menu, then arrange for pick-up or local delivery. Everything is made from scratch with the best ingredients sourced directly from butchers, bakers, fish stores and farms. Gluten free options are available. We require a full 48 hours’ notice for any changes.